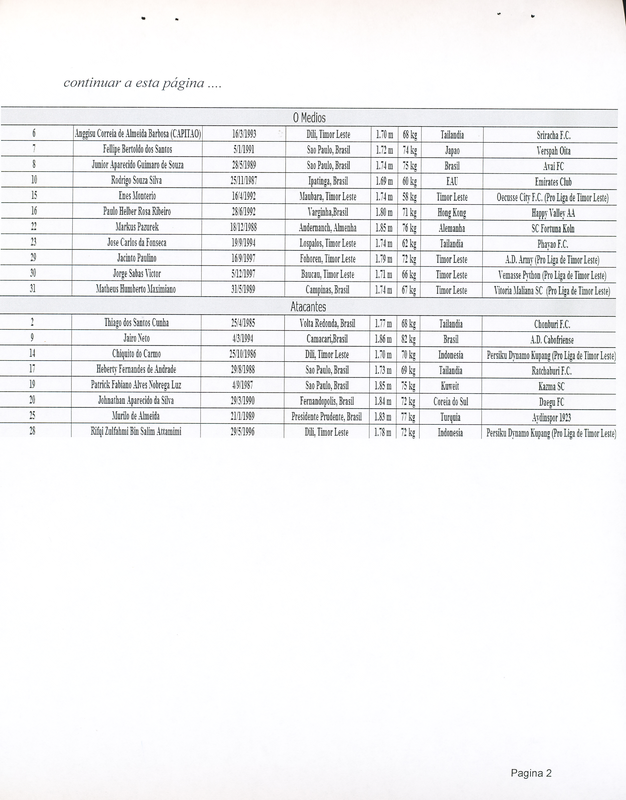 Dili ( 9 September 2015) – Thirty three Senior Men National players have been called for centralized training at Dili National Stadium in preparation for the 2018 FIFA World Cup/ 2019 AFC Asian Cup from 8 October to 12 November. 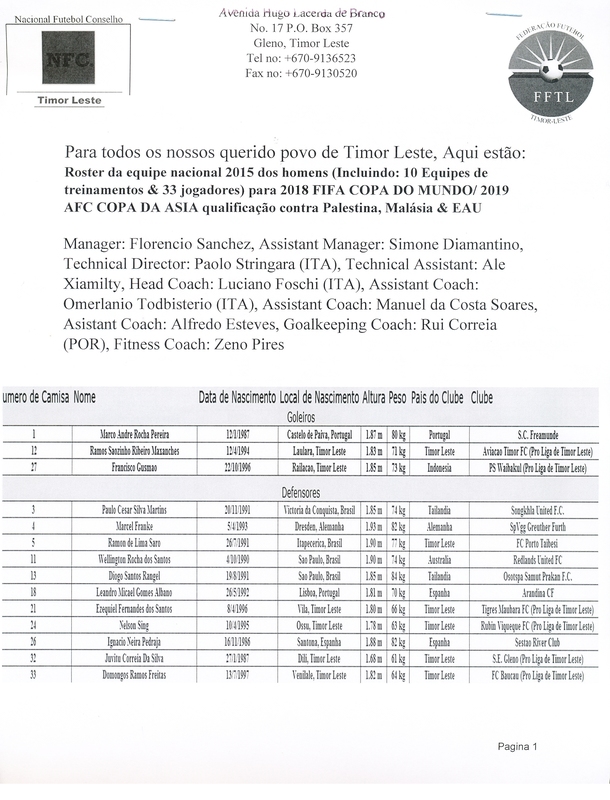 The Federacao Futebol de Timor Leste (FFTL) have called players from European countries and Brazil. These players are equipped with experienced and talents. The name of the players in the senior team in under the Roster Picture. The players will face-off with Palestine on 8 October, Malaysia on 13 October, United Arab Emirates on 12 November. FFTL have new three coach staffs that are from Italy. These coaches are under contracted with LEGA ITALIANA CALCIO PROFESSIONISTICO (Lega Pro)/FFTL, it lasted up to 3 years period. The coaches are professional and experienced. PAOLO STRINGARA (Age: 53)- Technical Director: A former coach of A.S.D Barletta 1922 and a defender in 1991 of Inter Milan which the club won the UEFA Cup 1990/1991. 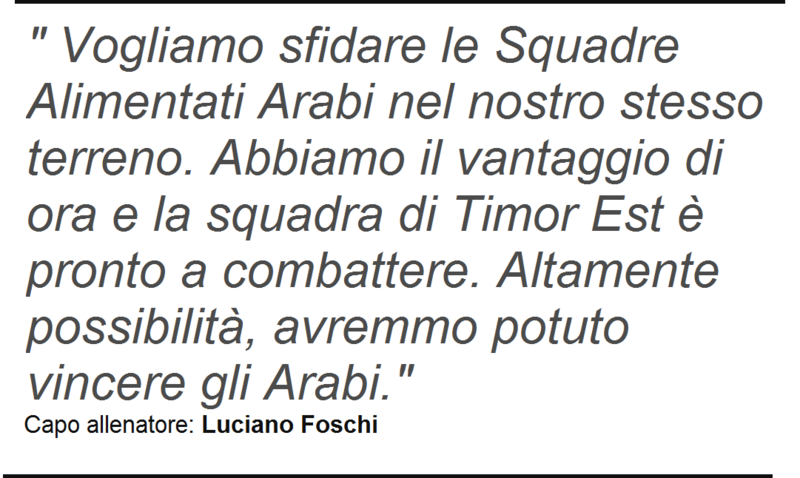 LUCIANO FOSCHI (Age:48)- Head Coach: A former coach of Savona F.B.C and a defender at A.S. Viterbese Calcio in 1996 to 1999. OMERLANIO TODBISTERIO (Age: 43)- Assistant Coach: a former famous midfielder at Lupa Roma F.C in 1994 to 2001. 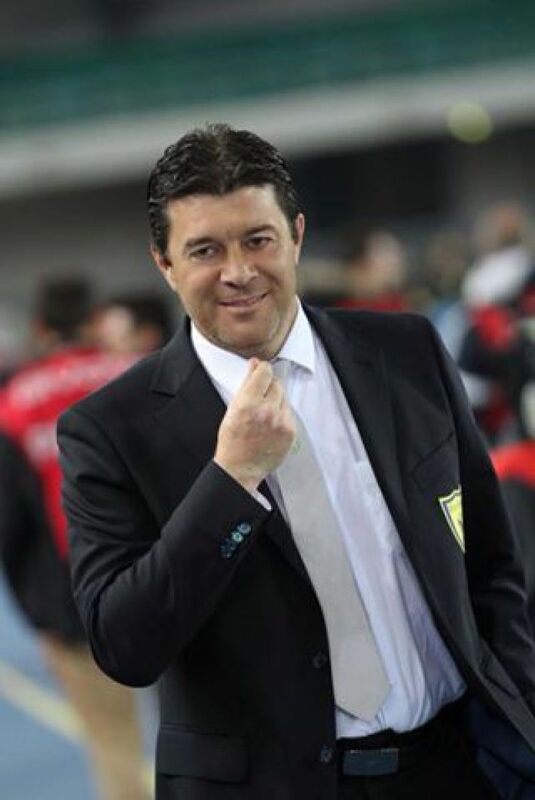 Former 2010-2012 head coach of S.S. Juve Stabia. Currently, Timor Leste Senior Men Team are on fourth in the table group. So far, Timor Leste in the last 3 matches have gain a drawn with Malaysia and two lost from United Arab Emirates and Saudi Arabia. 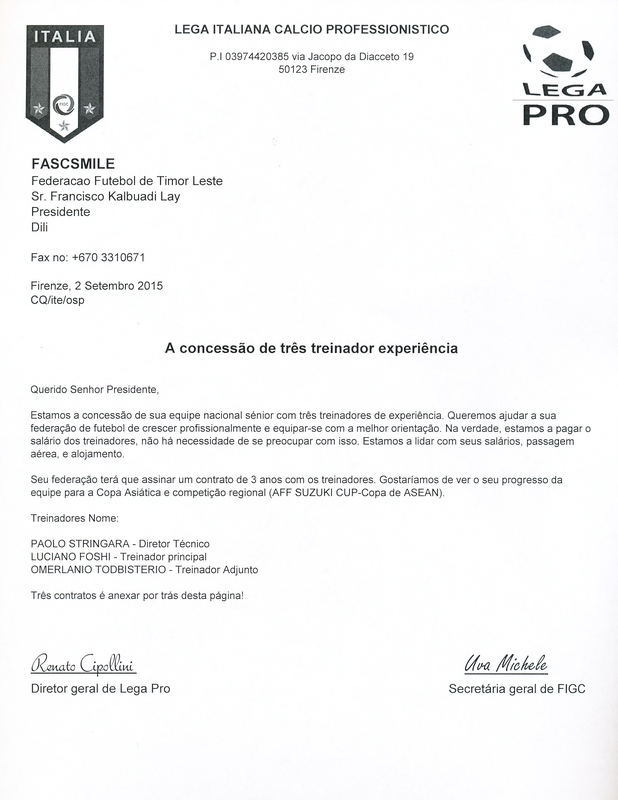 Now, the FFTL leader want to gear up to qualify at 2019 AFC Asian Cup. FFTL leader are determined to win all of the next five matches. You are currently browsing the Andy1890's Blog blog archives for September, 2015.